The Inverted-V Dipole antenna is perhaps one of the most popular and frequently used HF antennas among the radio Amateur community around the world. Many ham operators have started with this antenna and many of them have spent their entire life with the Inverted-V. They have had countless hours of fun good radio activity with this antenna and have followed the propagation to leverage its performance. Several have coasted along to get their DXCC award using nothing but the Inverted-V. 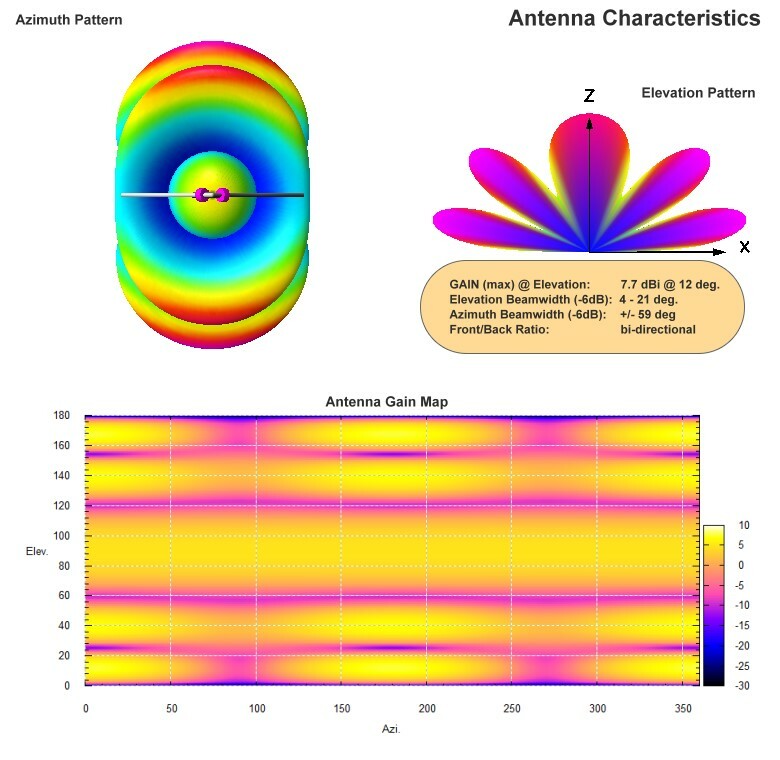 The Inverted-V Dipole antenna is a variant of the standard horizontal wire Dipole. It is very easy to construct and takes lesser space for deployment than a horizontal dipole. Although the maximum gain of the Inverted-V may be marginally lower than that of the horizontal dipole and the take-off angle would also be slightly higher, but the radiation pattern is less prone to producing deep nulls along the en-fire direction. It can transmit and receive signals better in all directions along the azimuth plane. The Inverted-V also has its feed-point impedance much closer to 50 ohms and hence is better suited for achieve a lower SWR when using a 50 ohm Co-axial cable. The HamSphere Inverted-V antennas have been meticulously designed to deliver optimum performance. do not simply brush it aside because of its elementary nature. Give it a try and you will be pleasantly surprised.